Make a fine addition to your accessory collection with this belt brought to you by popular brand Bulchee. Made of leather, it has a polished look with a natural sheen while the embossed branding near the end tip further adds to its design. It also features a buckle closure that makes it convenient to wear. 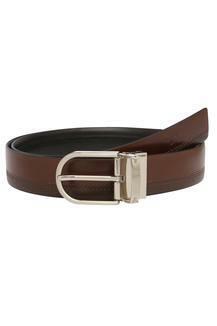 Perfect for any casual occasion, this belt will be a smart pick for you. You can team it with a pair of trousers, derby shoes and a shirt for a complete look.